With a range of great family friendly activities on offer, Heritage Hotels is making it easier for Australians to take that last minute decision to head to New Zealand for the school holidays. With 21 hotels across the North and South islands, Australian travellers will be spoiled for choice on where to spend their time. They can take advantage of the end of season skiing in Queenstown, swim in the thermal pools at Hanmer Springs, have some fun in the city at Auckland or Christchurch or explore the coastline and the marine life around the spectacular Bay of Islands. Many of the Heritage properties offer multi bedroom suites making it easy for the whole family to stay together in one apartment style room. In some cases these also include laundry and kitchen facilities. And when the day's exploring is done, our guests can take advantage of other offerings such as indoor and outdoor pools, tennis courts and gyms at the hotels. 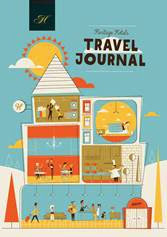 Heritage has also designed a special Kids Travel Journal full of great games, quizzes and fun facts so our smaller guests can get the most out of their stay. And because we know how important it is to balance the family mealtime budget on holidays, at a selection of Heritage properties, there are also special Kids Eat Free deals. Breakfast is free when a child under 14 dines with a paying adult. Children also receive 50% off the lunch and dinner menus or if they're under 5 they receive all meals free from the kids' menus. 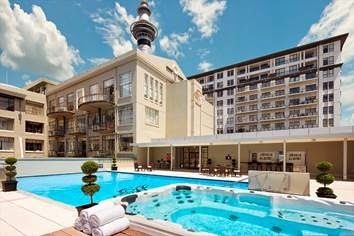 Heritage Hotel Management manages a pre-eminent range of properties in New Zealand with convenient CBD CityLife Hotels in Auckland and Wellington, and luxury Heritage Hotels in Auckland, Nelson, Hanmer Springs, Christchurch and Queenstown. New to the group is the rapidly growing Heritage Boutique Collection.